Johnny Depp has a hell of a lot of cash to burn it seems and new details of his spending, reveal just how much insane his spending really is. It’s clear the 53-year-old actor earns a ridiculous amount of money and likes to flash his cash whenever he likes, but it seems his recent expenses are a little out of control. Earlier in the year, it came to light just how much wine Johnny enjoys, as court papers revealed he spent up to $30,000 a month on bottles of drink, but it his next set of spending is something else. According to the Hollywood Reporter, The Pirates of The Caribbean lead’s former business managers have now claimed Johnny hands over his cash to pay for a person to basically spoon-feed him his lines on set, so he doesn’t even have to learn them. Johnny recently became so furious with The Management Group, he accused them of swindling him out of $28 million in contingent fees, he apparently never agreed to. Ironically, the company then sued Johnny back, instead saying he alone is responsible for his own frivolous spending. Depp listened to no one, including TMG and his other advisers, and he demanded they fund a lifestyle that was extravagant and extreme… Ultimately, Depp and/or his sister and personal manager, Elisa Christie Dembrowski, knowingly approved all of Depp’s expenditures. 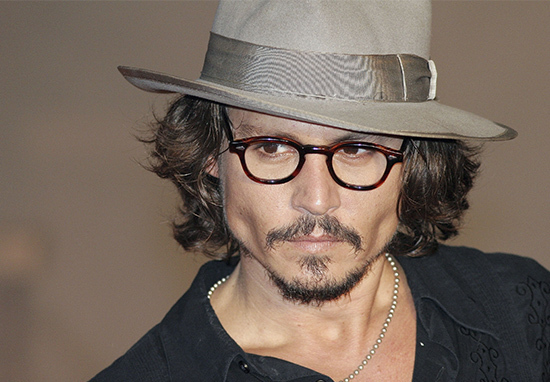 Depp’s extravagant spending has often been marked by a lack of impulse control. In retrospect, it appears that Depp may suffer from a compulsive spending disorder, which will be proven in this action through a mental examination of Depp … and expert testimony. On information and belief, Depp’s flagrant bragging about his senseless and extreme spending to The Wall Street Journal is further evidence of his psychological issues. Slightly unnervingly, Johnny does not seem to be too phased about his hugely lavish spending and defending his actions in The Wall Street Journal. It’s my money. If I want to buy 15,000 cotton balls a day, it’s my thing. Well, I mean that’s fair enough, his money and he can do what he likes with it although it does all seem a little extravagant.